If you’ve turned into a calorie counter in an effort to lose weight and still aren't satisfied, you might turn to a "best diet" list. Or should you? A new study sheds light on one popular list. 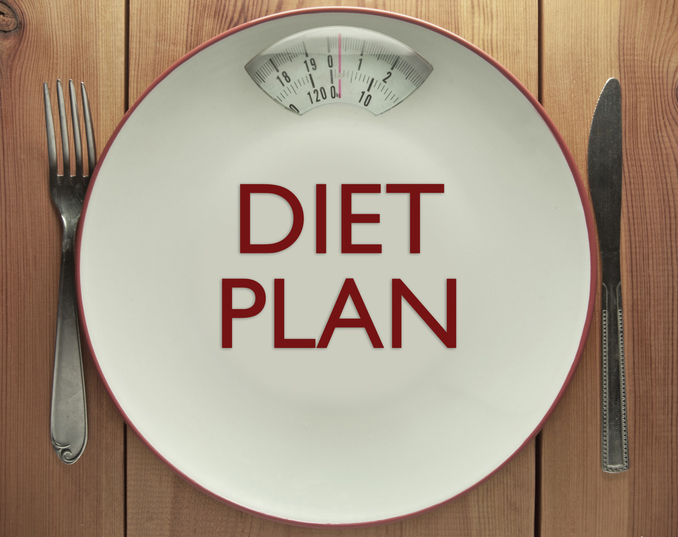 Americans love lists, including those that steer us to the best diet plans. But, as one new study finds, we need to take them with a grain of salt. 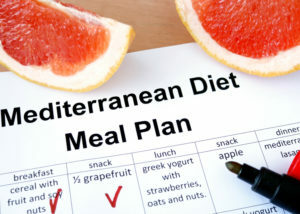 Diets or dietary patterns like the Mediterranean diet, the Atkins diet, or the Zone diet have been in vogue for quite a while—and each has its adherents. U.S. News & World Report—publishers of “Best” lists on a variety of health-related subjects—has a long history of helping people cut through the clutter to find diet solutions that work. But not so fast, according to health and nutrition researchers. A recent study from the University of Florida found little evidence of clinical trials supporting these “best diet” claims. When you eliminate diets that rely solely on calorie counting or that recommend vigorous exercise (which still top most diet recommendations), then the resulting diet plans have little support in the form of clinical studies. Researchers looked only at diets without calorie counts and/or recommendations of vigorous exercise, which are guaranteed to lead to weight loss. Do popular diets based only on what we eat—low-carbohydrate, grain-free diets and others—lead to a trimmer waist? “Not all diets showed clinically meaningful weight-loss outcomes,” said the study’s lead author, Stephen Anton, Ph.D., division chief of clinical research for UF’s department of aging and geriatric research and a member of UF’s Institute on Aging. Researchers looked for clinical trials evaluating the effectiveness of 38 popular diets listed within U.S. News & World Report’s 2016 ranking of “Best Weight-Loss Diets.” After cutting diets listing specific calorie targets and/or exercise recommendations, they were left with 20 popular diets. Of these, seven had been evaluated in clinical trials that met strict criteria set by researchers. And just two of those diets were evaluated by three or more trials. “The small number of clinical trials examining the efficacy of many popular diets is concerning, as it indicates relatively little empirical evidence exists to support many current popular diets, which are heavily marketed to the public,” said the study, recently published in the journal Nutrients. 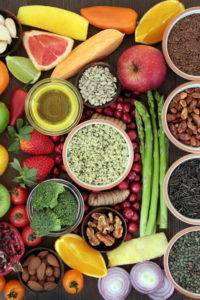 According to U.S. News “Best Diet” methodology, a panel of experts examined research regarding each diet’s potential to produce both short- and long-term weight loss and assigned ratings. But UF researchers included only interventional clinical trials with at least 15 participants per group, study periods of at least 12 weeks, inclusion of study participants with a body mass index of at least 25, and objective measures of weight with no self-reporting. They also excluded studies that did not follow the diet as prescribed. The low-carbohydrate Atkins diet came out far ahead of the pack, with 10 clinical trials evaluating either short- or long-term weight loss. It was followed by the moderate-carbohydrate Zone diet, with three clinical trials. the Paleolithic (or Paleo) diet, based on foods available to early humans 2.5 million to 10,000 years ago. The so-called DASH diet—Dietary Approaches to Stop Hypertension, which is low in saturated fats and sodium—was researched with one trial. Other diets that demonstrated clinically meaningful weight loss in at least one study were the Mediterranean, Paleolithic, and Zone diets. Researchers said their review suggests that diets high in poly- and monounsaturated fats plus low-carbohydrates “are the most advantageous” for promoting long-term weight loss. The study’s co-authors include Christiaan Leeuwenburgh, Ph.D., a professor and vice chair of research for UF’s department of aging and geriatric research and a member of UF’s Institute on Aging; Todd Manini, Ph.D., an associate professor and member of the Institute on Aging; Azumi Hida, Ph.D., formerly a visiting scholar at the Institute on Aging from Tokyo University; and UF research assistants Kristen Sowalsky, Ph.D., Heather Mutchie and Christy Karabetian, Ph.D.
add, aging, best diet, best way to lose weight, blood pressure, body mass index, bone, bone health, calorie counter, dash diet, diet, diet plans, dietary approaches to stop hypertension, exercise, exercise program, foods that lower blood pressure, Glycemic index, gout, gout foods, gout remedies, health, health and nutrition, healthy eating, healthy eating plan, heart health, how to eat healthy, hypertension, lack of energy, Lose Weight, lower blood pressure, lower triglycerides, lower triglycerides naturally, lowering blood pressure, mediterranean diet, nutrients, nutrition, nutrition advice, nuts, osteoporosis, osteoporosis guidelines, paleo diet, report, sore joints, stop hypertension, the glycemic index, the mediterranean diet, Triglycerides, vegetables, weight loss diet, whole grains. I thought you might be interested in this article on https://universityhealthnews.com: "Best Diet": Is There Such a Thing?